You may have seen the astounding drawings of M.C. Escher before – you know the one of the one hand drawing the other, or the patterns of birds that turn into fish. If not, you have to take a look at them. You can do it in a book or online at http://www.mcescher.com/. Anyway, Escher did these sometimes miraculous images that were repeated patterns and we thought we would share the secret of making a repeated pattern, called a tesselation. 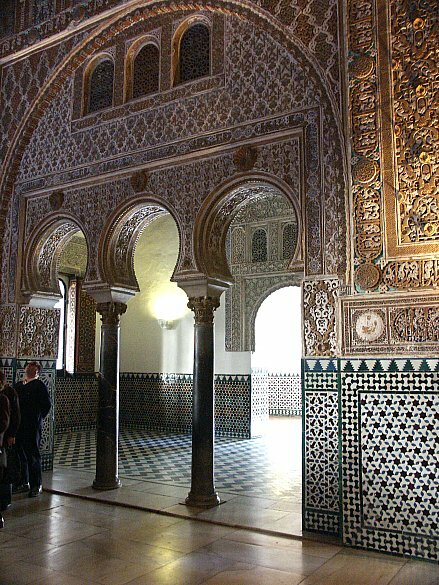 Tesselations are used all over architectural structures throughout the world – in tile patterns used on walls and floors. (Maybe even a bathroom floor near you is a tesselation. 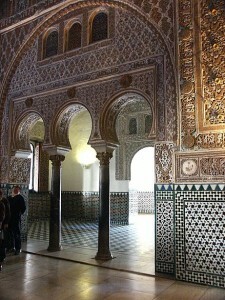 In Moorish architecture in Spain you can see tons of tesselations in tile. So the secret is in the grid upon which you build your tesselation. See instructions on how to make a tesselation here. And download the grid paper here so you can get started right away. There is always a shape that you trace and then the background area becomes another shape, This other background shape is called a “negative shape.” See if the shape you make for your tesselation leads the negative shape to be something interesting too. If you want to try to make a repeat pattern that is more complex, from a line drawing that you like, look at this great explanation on how to do it here, from Julia at Design Sponge.